Food awareness is booming, now more than ever. More people want to know where their food is coming from, how it’s grown and how it’s transported. Farmers markets are popping up all over. In the foothills and Sierra, we have farmers markets in Auburn, Truckee, Tahoe City, Grass Valley and more recently, Nevada City. 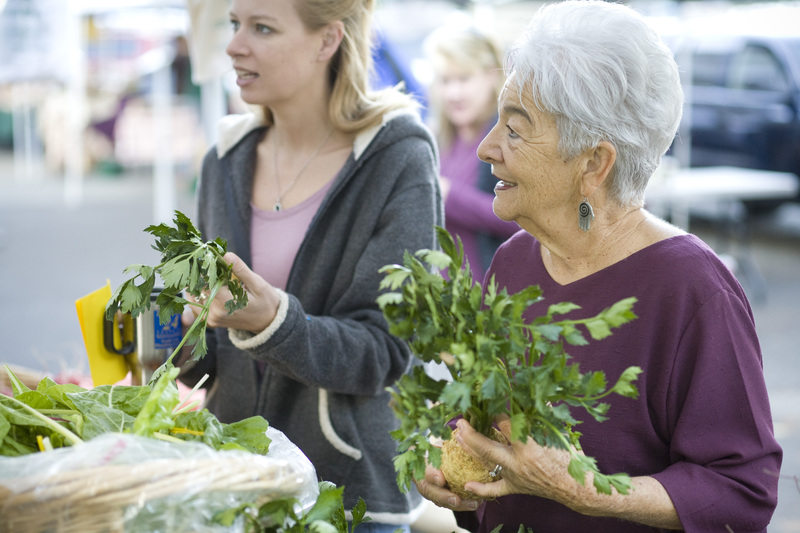 In Auburn, the market is open year-round, not just in summer. “This cookbook shows that if you go out to farmers markets, you can enjoy real food every week of the year,” says Joanne Neft, founder of the Foothill Market and co-author with local Chef Laura Kenny. One of the barriers to eating seasonally is that we can have everything all the time, which is how America eats from the supermarket, Joanne explains. Eating locally, which means seasonally as well, is about feasting on foods as they come and go. A similar cookbook could be written for every region in the country, highlighting what we can eat during the year in a particular food-shed, according to Joanne and Laura. Placer County Real Food’s recipes are based on both women’s experience from shopping at the Foothill Farmers Market and cooking meals from what they found fresh for a full year. More than 300 guests dined with them at family-style dinners, providing feedback. Local farmers can benefit from year-round farm to table cooking too. They make the majority of their incomes between May and October. If the farmers could sell more during winter, they could afford to grow morefresh, local food year-round. Placer County Real Food (from In Season Publishing in Loomis) will be sold at produce and book stores throughout the region. The book debuts in April at Blue Goose Produce, located in the historic Blue Goose fruit packing shed in the quaint foothill town of Loomis. I’ve been looking for a book like this. Thanks, Jeff. P.S. I like the new spring look of your blog.